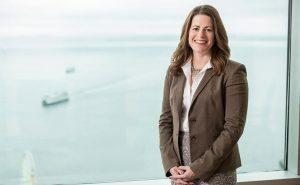 Join Kristin Nealey Meier, an employment law attorney at Ryan, Swanson & Cleveland, PLLC in Seattle, for a lively webinar addressing cybersecurity in the workplace. No company is immune from an attack, and all companies have either been hacked, are currently being hacked and don’t know it, or are next in line. To prepare for and prevent such attacks, it’s critical to understand the risks posed by certain policies, the importance of creating a cyber response plan, and the need to invest in training for employees. Be sure to mark your calendar and join us. Kristin is a compassionate, skilled attorney who sets herself apart by providing her clients with excellent communication, transparency and quick response time. Adept at fighting for her client’s best interests, Kristin has a “work together” attitude to meet their needs and expectations. From established technology companies, to nursing home organizations, to emerging start-ups, Kristin enjoys working with businesses in a variety of industries. In her employment practice, Kristin defends clients in investigations by the EEOC, Department of Labor, and other state and local agencies. Kristin also works with companies on a wide array of employment matters, including hiring and termination, cybersecurity, healthcare, wage and hour, discrimination and harassment, and retaliation. She assists clients in drafting employment agreements, severance packages, employee handbooks, employment policies, and developing strategies for avoiding problems resulting in litigation. A native of Spokane, Kristin graduated from Boston University School of Law in 2002, and has practiced at Ryan Swanson ever since.